Born in Hungary (1969) and a graduate of the Budapest Liszt Academy of Music, GERGELY ITTZÉS is one of the most proactive personalities of the flute scene. While being a researcher of his instrument and composer of many experimental flute works applying the most up-to-date flute techniques, especially polyphonic playing, he does not specialize in contemporary music only but tries to connect it with tradition. His large repertoire includes all the important works written for his instrument and a great number of rarities from the past centuries and today. In addition to classical and modern music, several other styles have also influenced his musical idiom, like jazz and free improvisation. For ten years he used to be member and composer of the Talizmán Group. Mr. Ittzés has given concerts and led master classes in many countries all over the world such as Brazil, the United States, Canada, China, Japan and the rest of Europe. Numerous composers have dedicated works for him. 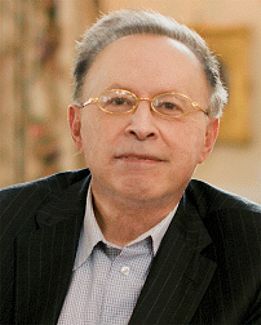 He gave the first performance of Anthony Newman’s Flute Concerto, composed for him at the Budapest Spring Festival, 2005. He has been invited to perform at major flute festivals of the world (Beijing, Brazília, Paris, New York, Manchester, Freiburg and many others) and debuted at Carnegie Hall in 2014. He is an active soloist and chamber musician, a member of the UMZE Chamber Ensemble and founder of the TeTraVERSI flute quartet. He has played together with Magdalena Kožena, Miklós Perényi, Zoltán Kocsis, Zoltán Rácz, the Amadinda Percussion Group, Barnabás Kelemen, Katalin Kokas, Kristóf Baráti, and the Franz Liszt Chamber Orchestra among many others and improvised together with Markus Stockhausen, Emil Viklický, Don Thompson, Szilárd Mezei etc. He is the principal flutist of the Erdődy Chamber Orchestra. He won many national and international competition prizes (including the Grand Prix of the 2nd Aleksander Tansman International Competition for Musical Personalities in Poland) and national distinctions such as the Franz Liszt Award and the Lajtha Award. The German Lexikon der Flöte dedicates an article to his activity. After graduating, Gergely Ittzés spent a year at the international Prague Mozart Academy then a few months at the Banff Centre for the Arts in Canada where he completed and recorded his large-scale work Vision Pit for four flutes. He participated in numerous master classes (with András Adorján, Michel Debost, Michael Faust, Jean-Claude Gérard, István Matuz, Auréle Nicolet, Carol Wincenc, etc.). His most influential non-flutist tutors were György Kurtág and Ferenc Rados. In 1998 and 1999 he was supported by the Annie Fischer Grant offered for promising young soloists. 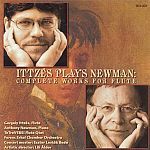 Mr. Ittzés has recorded more than a dozen CDs, including Hungarian contemporary music, his own works and violin transcriptions, and less-known repertoire like Pierre-Max Dubois, Eugéne Walckiers, Boccherini and the complete works of Sigfrid Karg-Elert. His new recording project entitled The Great Book of Flute Sonatas is a work in progress and includes all of the significant flute sonatas of music history (more than thirty pieces). Mr. Ittzés is flute professor at the Széchenyi University in Győr and editor of various flute publications composed or transcribed by himself or others. His newest composition ‘Totem’ was commissioned by the National Flute Association for the Young Artist Competition held in Las Vegas, 2012. As the result of his research on the multiphonic capabilities of the flute he published the software and DVD-Rom Flouble in 2012 (www.flouble.com). He holds a doctorate from the Franz Liszt Academy; his dissertation, written in 2008, is entitled The Role of Polyphonic Thinking in Flute Playing. Gergely Ittzés plays a Sankyo Pure Silver flute with a special golden Seder headjoint.